Is your iPhone 3GS Reliable? Apple has gotten a lot of good press on iPhone 3G S but the battery issues has been a headache for the company. A lot of people have been complaining about their iPhones overheating when viewing or editing videos. 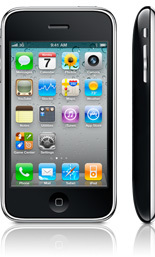 While a few people have experienced that problem, it’s not made Apple to recall iPhone 3G S units. Not yet anyway. But Wired is now reporting that people are starting to complain about iPhone 3G S’ wireless reliability. Some have complained about the speed going up and down while others have found iPhone 3G S plain slow. Either way, it’s not good news for Apple. The good news is that not many have experienced this issue. That means it may not be a widespread problem. I have not experienced the overheating nor the wireless problem with my iPhone. But you can always expect a newly released gadget to have some issues. Thankfully, Apple’s customer service is world class, so you can always rely on them to help you out in case you do have a problem. Your take: have you experienced any major issues with your iPhone 3G S?